Futurs étudiants de médecine, bienvenue à McGill! Fondée en 1829, la faculté de médecine fut la première faculté créée à l’Université McGill et la plus ancienne faculté de médecine du Canada. Depuis, elle n’a cessé de se développer, recevant toujours plus d’étudiants. Afin de les accueillir au mieux, la faculté publie chaque année, depuis le milieu du 19e siècle, un petit fascicule d’information à l’intention des futurs étudiants. La bibliothèque Osler a conservé précieusement ces livrets, les Annual announcements of the Medical Faculty of McGill College, de 1852 à 1986. Ils constituent une riche source d’information sur l’organisation des études de médecine et la vie étudiante du milieu du 19e siècle à la fin du 20e siècle à McGill. Ces livrets viennent d’être numérisés par la bibliothèque et sont désormais tous disponibles en ligne. [McGill / Internet Archive]. C’est donc l’occasion de mettre en lumière ici cette collection atypique. De taille très variable, chaque livret précise les conditions d’admission et les frais d’inscription à la faculté et le calendrier universitaire. 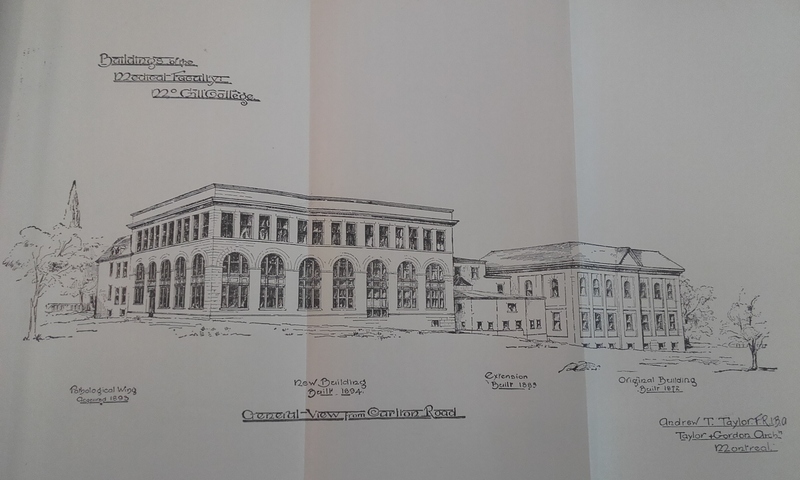 On y trouve aussi des plans de la faculté et des photographies, notamment des hôpitaux partenaires. 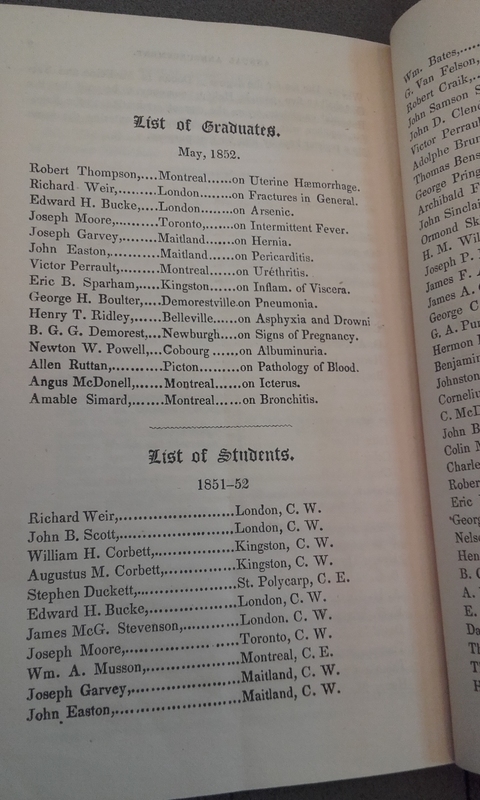 Certaines années, la liste des étudiants et des diplômés de la faculté est publiée, ainsi que la liste des médailles et des prix reçus au sein de la faculté (sur l’exemplaire de 1872 par exemple, on voit que William Osler, alors étudiant à McGill, a été lauréat du « Special Prize for thesis » cette année-là). Enfin, ces documents permettent de reconstituer l’histoire de la faculté de médecine et du campus de McGill à travers plusieurs plans et photographies. 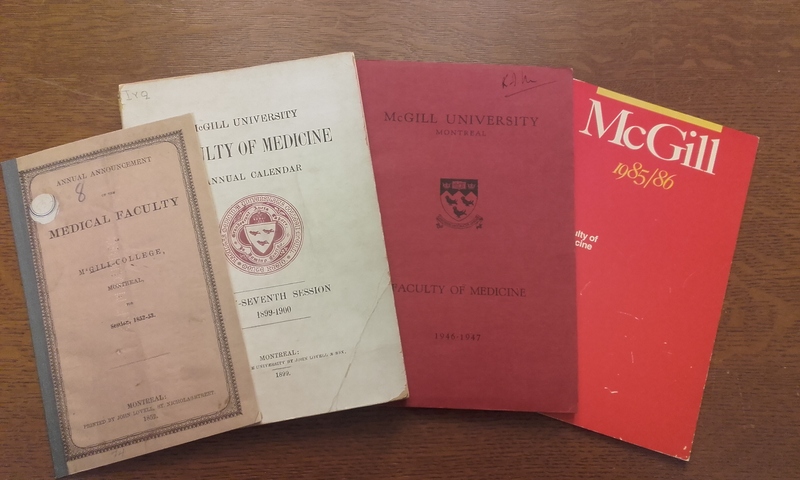 Ces Annual announcements of the Medical Faculty of McGill College, désormais disponibles en ligne, sont donc une mine d’information pour les chercheurs, ou plus largement pour toute personne que l’histoire de McGill intéresse. N’hésitez pas à les consulter! Annual Announcements of the Medical Faculty of McGill College, McGill University, 1852-1986, disponible en ligne [McGill / Internet Archive]. 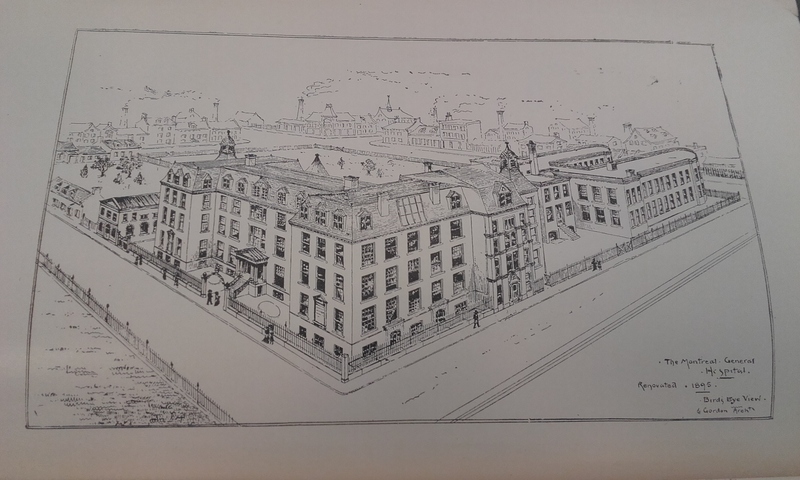 Cruess R. L., “Brief History of Medicine at McGill”, disponible en ligne. Frost S. B., McGill University: For the Advancement of Learning, Volume I, 1801-1895, Montreal, McGill-Queen’s University Press, 1980. Frost S. B., McGill University: For the Advancement of Learning, Volume II, 1895-1971, Montreal, McGill-Queen’s University Press, 1984. Hanaway J., Cruess R., McGill Medicine: The First Half Century, 1829-1885, Montreal, McGill-Queen’s University Press, 1996. 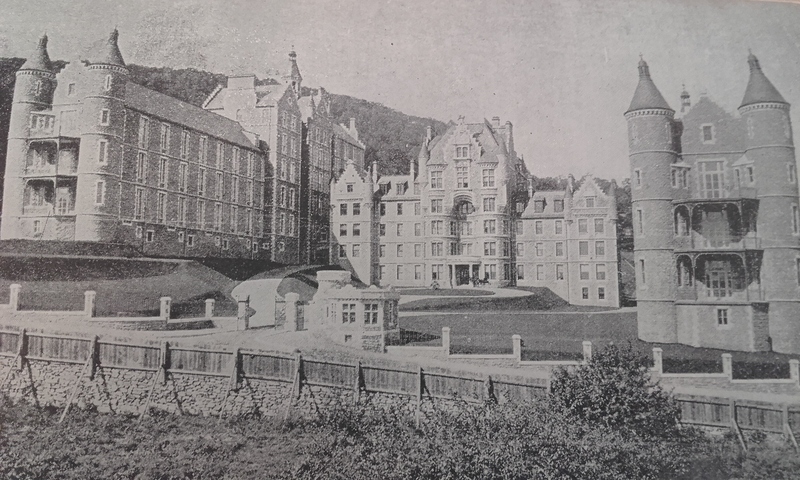 Hanaway J., Cruess R., Darragh J., McGill Medicine: The Second Half Century, 1885-1936, McGill-Queen’s University Press, 2006. 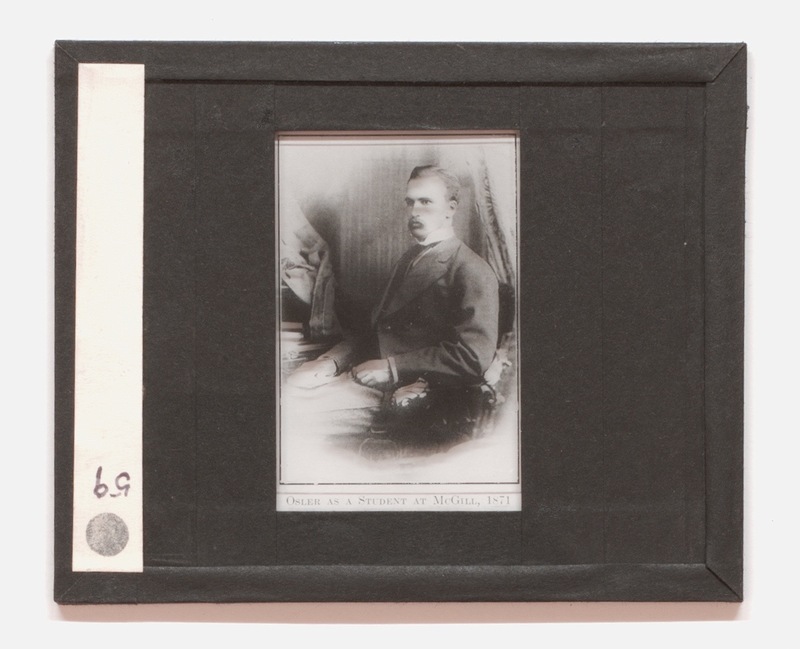 Glass slide from the Osler Library archives shows Osler as a young medical student at McGill University, 1871. Today marks the 167th birthday of Sir William Osler. In celebration this year, we thought we would highlight several invaluable resources and digital collections that McGill University Library – with the help of generous donors – has made accessible for researchers around the world. McGill Library William Osler Letter Index — This on-going project at Osler Library provides a wealth of information for researchers to access an index of thousands of letters to and from Sir William Osler. It also provides biographical materials gathered by Dr. Harvey Cushing for his 1925 Pulitzer Prize winning biography The Life of William Osler. William Osler Photo Collection — Browse the photographic collection, read the accompanying biographical notes, and get a sense of the visual history of William Osler and those who were close to him throughout his life. 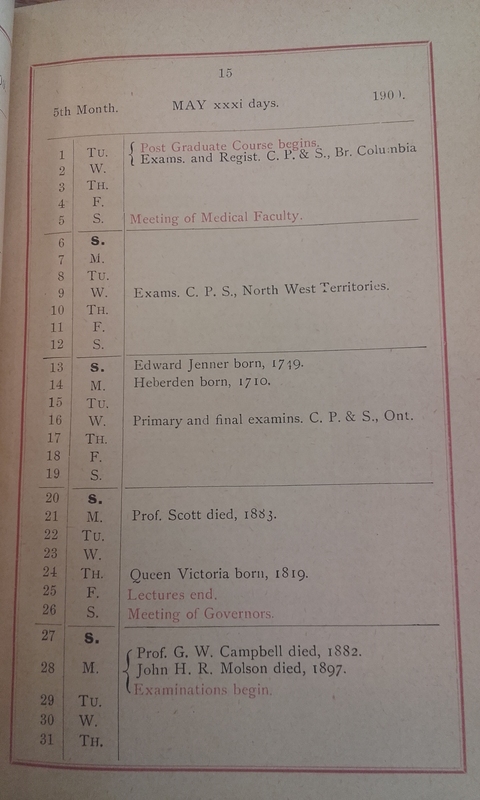 Osler Library Archives — Retrieval number P100 will direct you to the William Osler fonds. If you prefer to browse, the subject “Osler, Sir William, Sir, 1849-1919” will provide the many fonds collections containing archival material associated with Osler – fonds that include some of William Osler’s friends, relatives and colleagues throughout his life in Canada, USA, and United Kingdom. Enjoy your Osler celebrations today from all of us here at the Osler Library of the History of Medicine! We are pleased to announce this week that the Wilder Penfield Digital Collection is now available to access online! 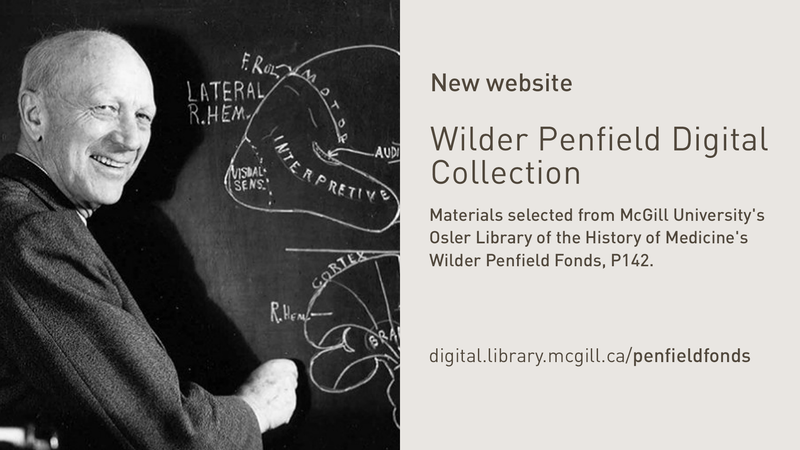 The new website includes Wilder Graves Penfield (1891-1976) biographical information, as well as meters and meters worth of digitized archival images, letters, and other materials from the Osler Library’s extensive Penfield fonds. 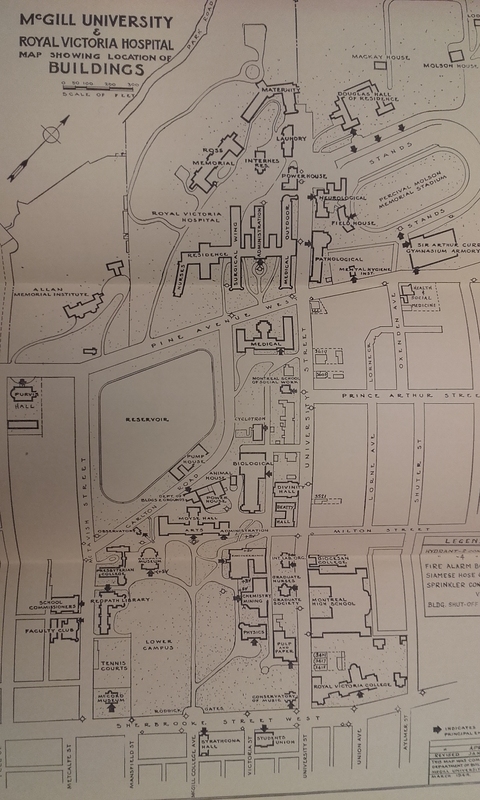 Students and researchers are encouraged to explore this website for information ranging from Penfield’s childhood, education and medical training, to his widely influential research. As founder and head of the Montreal Neurological Institute (MNI) from 1933-1960, Penfield was Canada’s foremost neurosurgeon at the time and his career continues to influence generations of neurologists around the world. The digitization of this collection was made possible thanks to a generous grant from the R. Howard Webster Foundation, obtained by the late Dr. William Feindel (1918-2014). The Osler Library’s copy of a medieval medical text written by Johannes de Sancto Paulo (John of Saint Paul) is one of our manuscripts that are available digitally. 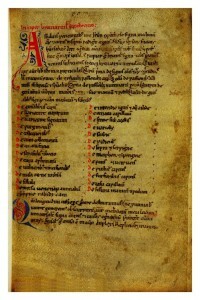 Bibliotheca Osleriana 7627 is a small early 13th century Latin manuscript containing the Breviarium medicine (“Breviary of medicine”) written by Johannes de Sancto Paulo (fl. 1180), as well as an excerpt from the Liber Pantegni compiled and translated from Arabic into Latin by Constantine the African (1020?-1098/99?). It was rebound probably in the late 19th century in vellum over boards with beautiful marbled pastedowns. The volume belongs to William Osler‘s original donation to the library and is catalogued in his Bibliotheca Osleriana (1). 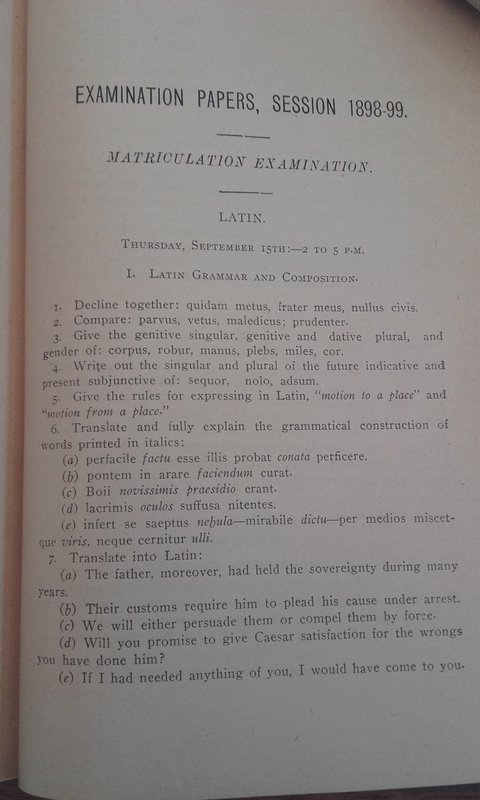 Osler acquired the manuscript from the rare books dealer Luigi Lubrano of Naples in October of 1915. First leaf of the Breviary, with the incipit, an opening line written in red announcing the title of the text (referred to in this copy as the “Breviary of Hippocrates”) and table of contents. BO 7627. Johannes de Sancto Paulo was a physician active in Southern Italy during the late 12th and early 13th century. He is thought to be among the masters of the Salerno school of medicine, a center for medical teaching and knowledge production well-known for bringing the work of Arabic medical writers into Europe through Latin translation. The breviary, one of four known works by Johannes de Sancto Paolo, is a general guide to practical medicine written probably around the third quarter of the 12th century. The text is divided into five books. The first book discusses some practical issues about diagnosing and understanding disease, for example, recognizing signs of illness. It also discusses diseases that affect the entire body, like leprosy and skin conditions such as erysipelas. The second book contains conditions relating to the head and upper body, including the respiratory system. In this book are descriptions of and treatments for “psychological” conditions like mania and lethargy, head pain, eye pain, impaired vision, coughs, and asthma. 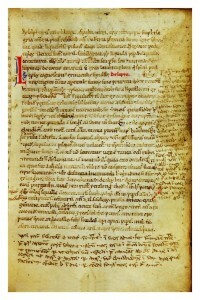 Chapter on leprosy, De Lepra from BO 7627. A popular topic, one early reader has added a lot of notes in the margin. Book 3 concentrates on the digestive system with entries on vomiting, stomach pain, diabetes, and more. Book 4 is on the reproductive system and women’s issues like retention of menses and womb suffocation (two worrisome conditions for medieval doctors). Book 5 is on different types of fevers, which medieval people identified as a disease in itself rather than a symptom of illness, as we understand it today. 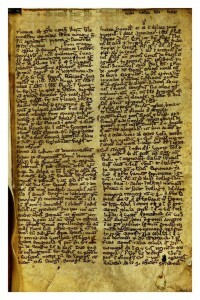 The second text bound in the manuscript appears to have been written somewhat later than the first. It was often a common practice to bind single texts together in the same binding. 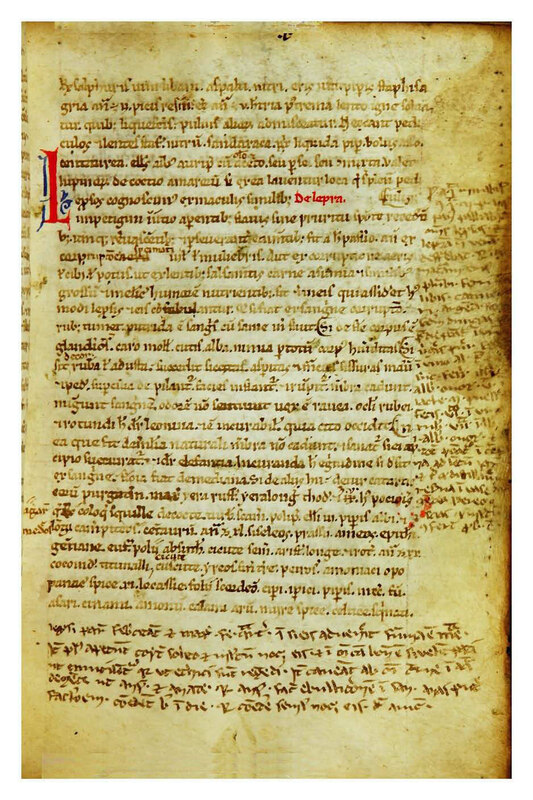 A short extract from the Pantegni section on medical theory, theorica, likely transcribed by a medieval medical student. BO 7627. See a digitized copy of the oldest manuscript of the Pantegni (probably written under the supervision of Constantine himself) from the Dutch National Library here. To find out more about medieval medicine in general, take a look at Nancy Siraisi, Medieval & early Renaissance medicine: an introduction to knowledge and practice (Chicago, 1990) or Faith Wallis, Medieval medicine: a reader (Toronto, 2010). A great (and entertaining) resource on medieval manuscripts is the blog Medieval Fragments. 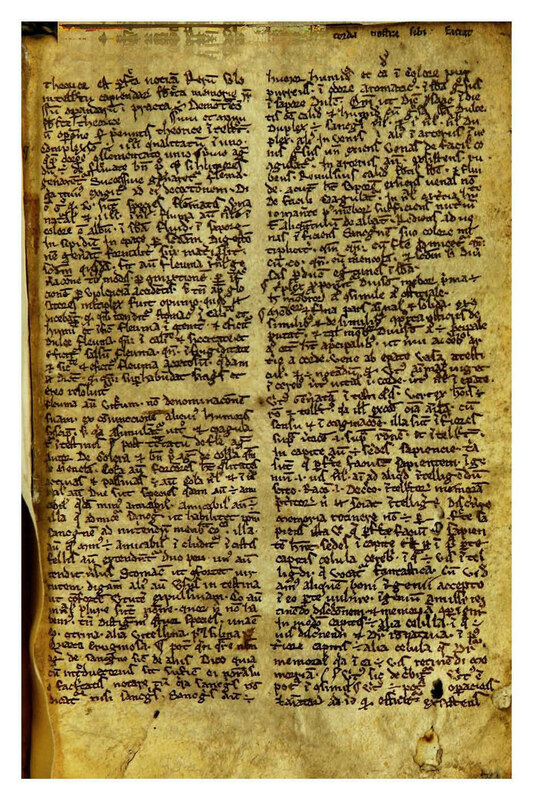 A good intro to understanding and researching manuscripts is Raymond Clemens and Timothy Graham, An introduction to manuscript studies (Ithaca, NY, 2007). (1) Sir William Osler, Bibliotheca Osleriana: a catalogue of books illustrating the history of medicine and science (Montreal, 1969). (2) Monica H. Green, “Johannes de Sancto Paulo,” in Medieval science, technology, and medicine: an encyclopedia, ed. Thomas Glick, Steven J. Livesey, and Faith Wallis (New York, 2005). The National Library of Medicine has just launched the section on William Osler on its Profiles in Science project, working in collaboration with the Osler Library and the Alan Mason Chesney Medical Archives at Johns Hopkins. Profiles in Science is designed to make digitized documents and photographs of leading medical researchers available online. He was legendary during his lifetime, and for nearly a century, he’s been practically a deity in some medical circles. Often called the “father of modern medicine,” and the “greatest physician of all time,” his name is still spoken and his words quoted in reverent tones. Missed our 2011 exhibition “Our Friend, the Sun: Images of Light Therapeutics, 1901-1944”? Here’s a sneak preview of the digital exhibition currently under construction. You can find the full exhibition catalogue by curator Dr. Tania Anne Woloshyn here. And stay tuned for more! John Harvey Kellogg. Light therapeutics: a practical manual of phototherapy for the student and the practitioner. 2nd ed. Battle Creek, Mich. : Modern Medicine Pub. Co., 1927. Remember our long-suffering patient from last week? Contrast that with this week’s gleeful recipient of light therapy. By the 1920s, physicians began incorporating advertising imagery into their textbooks. In this photomontage, we are presented with a fresh-faced, smiling model, coiffed in the latest 1920s crop. The impression is that this phototherapeutic treatment is neither uncomfortable nor distressing, but in fact an enjoyable process. The ambiguity of her surroundings, reminiscent of a photographer’s studio, is heightened by the impossibilities of the scene: the rays of the lamp (which itself appears hand drawn) shine on her chest and yet continue undisturbed beyond her. Simon Carter. Rise and Shine: Sunlight, Technology, and Health. New York: Berg, 2007. Tania Anne Woloshyn, “‘Kissed by the Sun’: Tanning the Skin of the Sick with Light Therapeutics, c.1890–1930,” in Kevin Siena and Jonathan Reinarz, eds. A Medical History of Skin: Scratching the Surface (London: Pickering & Chatto, 2013), chap. 12. Röntgen rays and electro-therapeutics: with chapters on radium and phototherapy / by Mihran Krikor Kassabian. Philadelphia ; London: J. B. Lippincott, 1907. 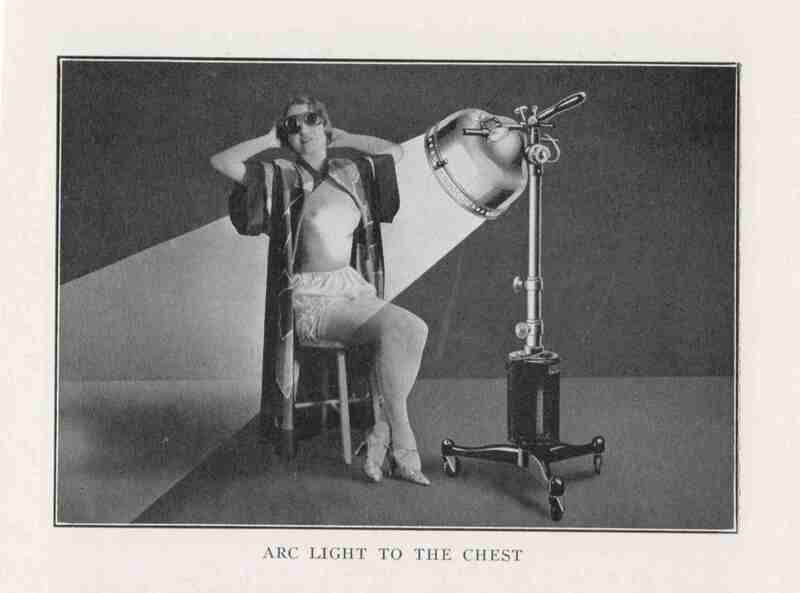 This photograph depicts a patient receiving phototherapy treatment via an arc light developed by Niels Ryberg Finsen, the Danish physician who pioneered the treatment of disease (notably lupus vulgaris) through exposure to specific wavelengths of light. Our newest database is now live! The William Osler Letter Index provides a way of locating information about the letters and other material that Dr. Harvey Cushing (1869-1939) gathered for his Pulitzer-winning biography The Life of William Osler (1925). Cushing collected thousands of letters to and from Osler, having them copied and returning the originals, and made many notes throughout his research. A guide to these was previously available only to on-site users. The online index contains descriptions of these letters, Cushing’s notes and manuscript excerpts, and further Osler material from other archival collections and fonds, including the Sir William Osler Collection (P100), the Malloch Family Fonds (P107), and the Maude Abbott Collection (P111). Each description provides information on the sender, the recipient, the place and year of writing, and a brief abstract of the letter’s contents. Please visit and let us know if you have any feedback! 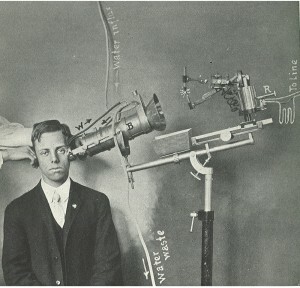 Missed our 2011 exhibition “Our Friend, the Sun: Images of Light Therapeutics, 1901-1944”? Here’s a sneak preview of the digital exhibition currently under construction. You can listen to the original exhibit talk by curator Dr. Tania Anne Woloshyn here. And stay tuned for more! S. I. Rainforth. The stereoscopic skin clinic; an atlas of diseases of the skin, consisting of colored stereoscopic illustrations and a text in the form of clinical lectures, designed for the use of practitioners and students of medicine. New York: Medical Art Pub. Co., 1914. These images are designed for an early twentieth-century viewing device called a stereoscope, originally intended less for medical purposes than for entertainment. 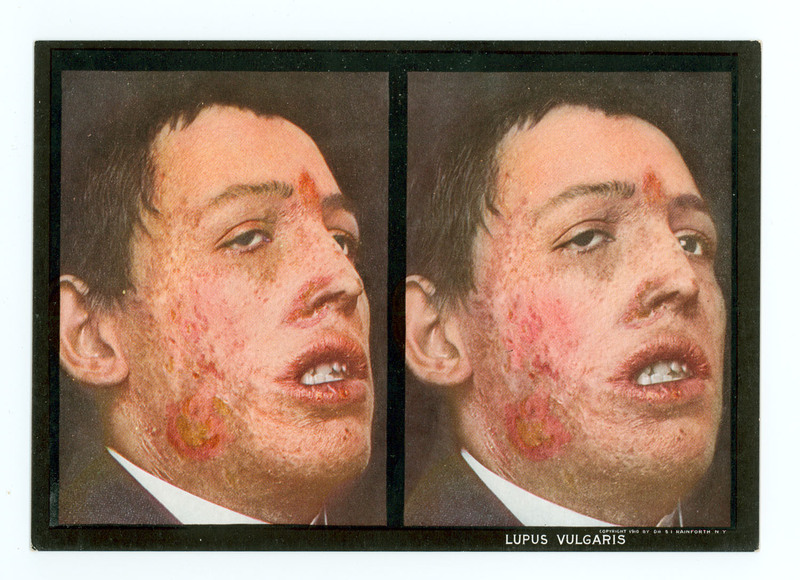 The image shows a disfiguring case of lupus vulgaris, tuberculosis of the skin, on the face of a male patient. The two photos are each shot from a slightly different angle so that when viewed together through the stereoscope they form an optical illusion in 3D. Dr. Selden Irwin Rainforth (1879-1960) was a young physician from New York when he compiled The stereoscopic skin clinic. The work consisted of over 130 stereoscopic plates with a viewing device and was published in multiple editions. Detailed descriptions of the diseases on the back of each photo card provided useful information about skin conditions at a time when dermatologists were still rare. John Thorne Crissey, Lawrence Charles Parish, and K. Holubar. Historical Atlas of Dermatology and Dermatologists. Boca Raton, FL: Parthenon, 2002. Helmut Gernsheim and Alison Gernsheim. The History of Photography: From the Earliest Use of the Camera Obscura in the Eleventh Century up to 1914. London: Oxford University Press, 1955.